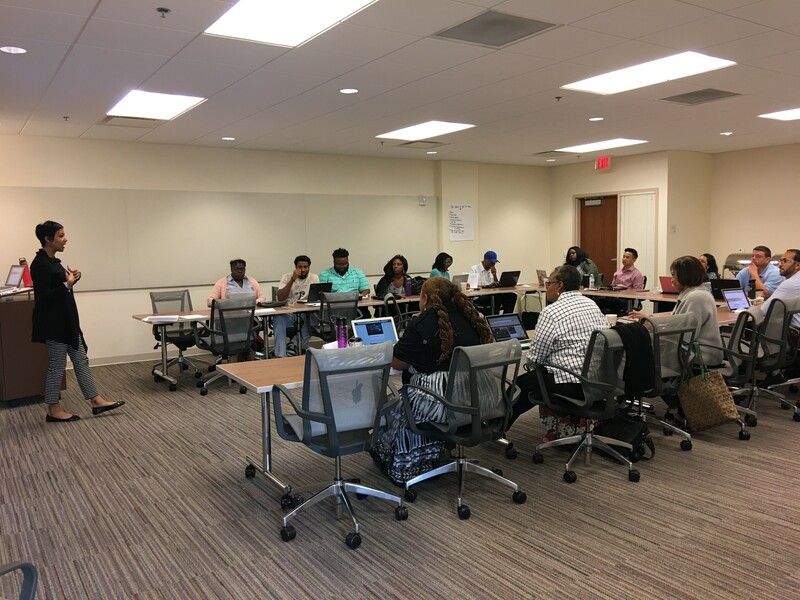 A group of eight Belmont Pharmacy faculty and students, the largest to-date, is participating this week in the Summer Institute on Health Policy, a yearly interdisciplinary educational event held at Meharry Medical College. The focus of the course is social epidemiology, and attendees are discussing underlying reasons and potential solutions to disparities in health care access and outcomes. This year’s course is being taught by Dr. Amani Nuru-Jeter from the University of California Berkeley with assistance from Dr. Derek Griffith from Vanderbilt University.